Detail of Takashi Murakami "100 Arhats"
Fran and I have spent this past month in Beautiful Vancouver. One of the highlights was seeing the Takashi Murakami retrospective at the Vancouver Art Gallery. We saw the beginnings of Spring when we arrived - rhododendrons, camellias, daffodils etc. - but found that winter wasn't over yet. 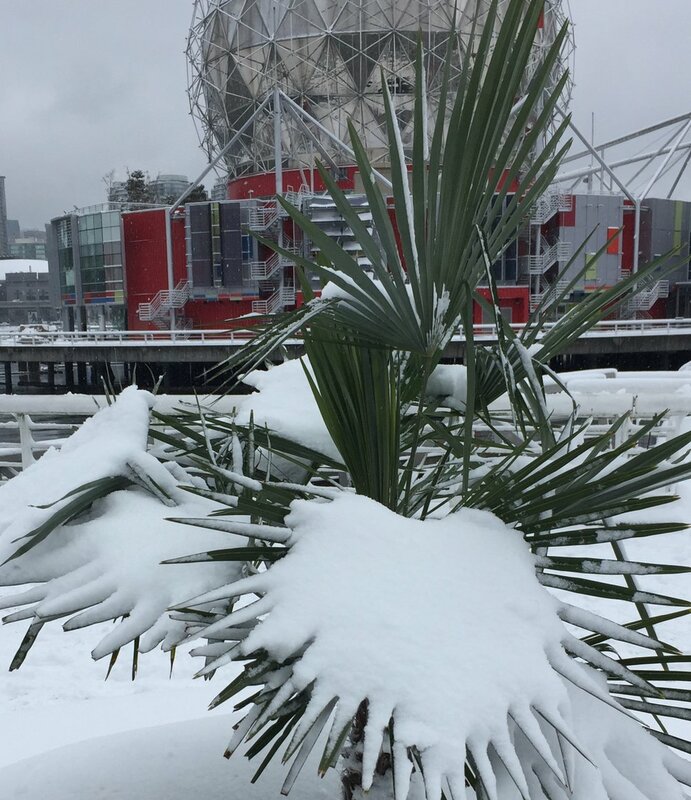 However, we saw some beautiful unexpected scenes of snow covering tropical plants. One of the many showcases containing yixing teapots. Another Highlight was viewing an exceptional exhibition of yixing ceramics at the Poly Culture Art Center. More than 300 yixing teapots, created by modern Chinese master potters/artists were on display. It would be difficult to describe the invention, display of technique and expansion of a 400 year old tradition. We will be returning to Pelham soon. We will have a lot to do - catching up on many left behind jobs like filing taxes and preparing the studio for the upcoming Pottery Train.